Searching for quality roof repair and installation in Forsyth County, GA? Choose the professionals at Burell Built Exteriors! From residential roof repair to major commercial replacements, our talented roofers do it all. Call our roofing company in Forsyth County, GA at (865) 385-6926 for more information about our services. At Burell Built Exteriors, we are glad to provide professional services for your residential or industrial roof. As a local business, we are experienced with many common issues that home- and business-owners have with their roof systems, and we have the proper solutions. Whether you have an emergency such as severe water damage or just need maintenance, don’t hesitate to call us at (865) 385-6926. 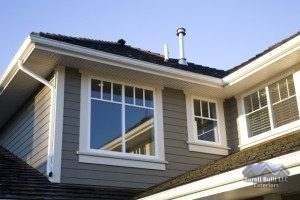 As our business name suggests, we also provide home exterior services such as window replacement, gutter installation, and more. Our roofing company in Forsyth County, GA is here to help with anything you need when it comes to roof repair!